警告1.You did not specify the number of crossflow baffles. This has been calculated as 7, the nearest value, given the tube length 3500 mm, endlengths 438.1 mm and 535.85 mm (as input or estimated), and a baffle pitch of 400 mm. 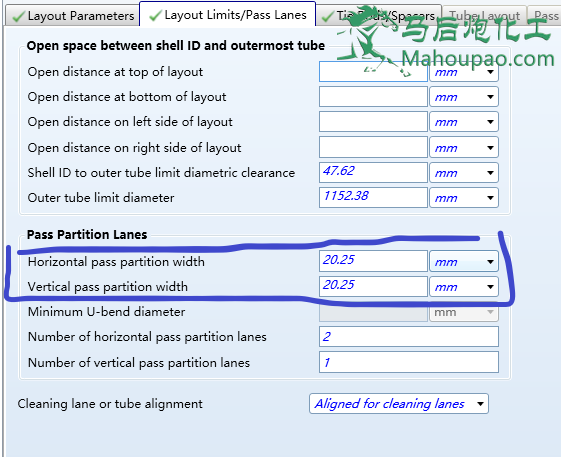 警告2.The bundle band orientation has 2 pass partition lanes in line with the flow, which may give significant by-passing around the tube regions. Changing the orientation of the bundle would give 1 in-line lane(s) and reduced by-passing. 警告3.This is probably a case where the baffle cuts are not consistently located with respect to tube centres. Revising the cuts on the tube layout diagram may be needed. 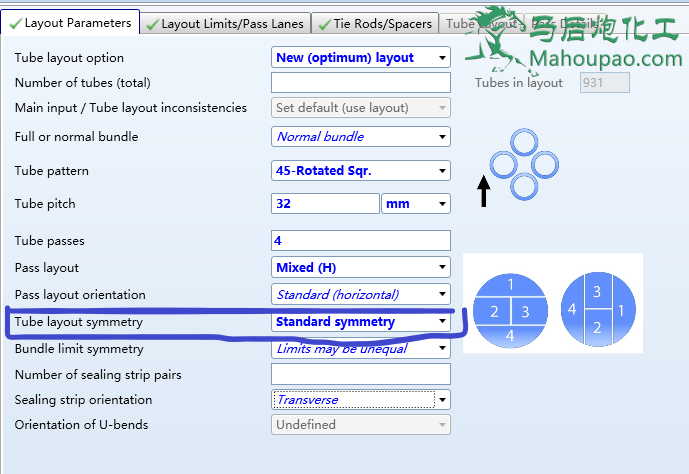 Otherwise, this problem can usually be avoided if you specify bundle layout symmetry case 1 or 2, For H-banded layouts you may also need to adjust the central pp lane width.